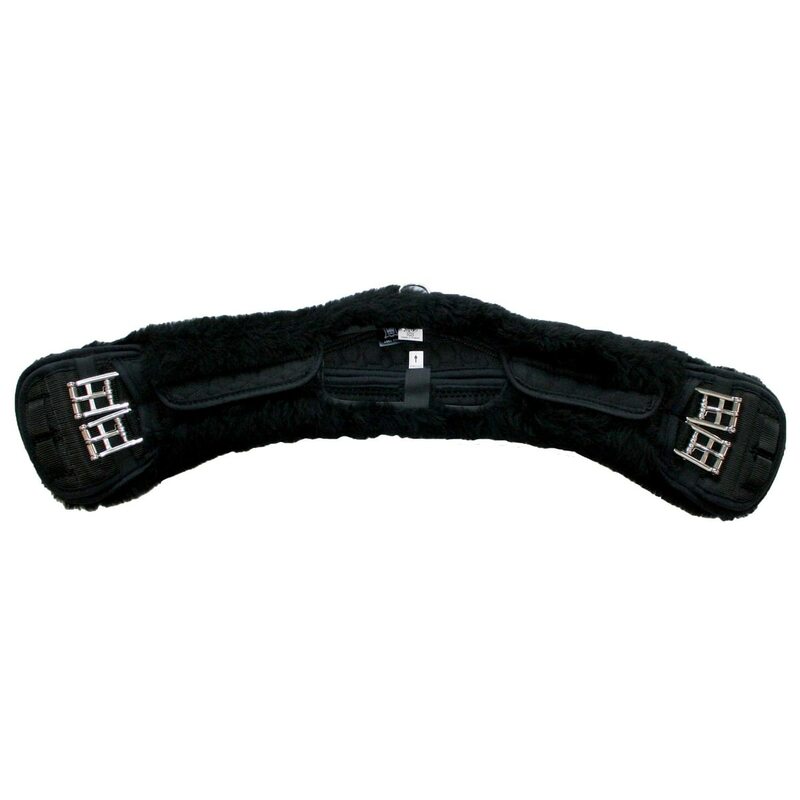 The Mattes Short Athletico Girth W/ Detachable Cover was created to accommodate a horse with a saddle position that is quite far back and a barrel that causes the girth to slide back. The design allows the girth to stay comfortably in the correct position, rather than sliding back causing the saddle to slide back with it. There is more to saddle fitting than assessing the horse’s topline. The saddle position in relation to the natural girth position, length of withers, and the alignment of withers, shoulder, and elbows all have an effect on the saddle. E.A. Mattes has revolutionary girth shapes that address and correct the various issues that arise from certain conformation types. Created to accommodate a horse with a saddle position that is quite far back and a barrel that causes the girth to slide back. The design allows the girth to stay comfortably in the correct position, rather than sliding back causing the saddle to slide back with it. E.A. Mattes has revolutionary girth shapes that address and correct the various issues that arise from certain conformation types.